The Listening Station is a sound installation of material gathered at a youth hostel on Droskyn Point in Perranporth, Cornwall. Alex Goodman devised the project inspired by the building’s previous use as an experimental Listening Station. In 2016, hostel guests were invited to make recordings to collate a record of experiences on the site. 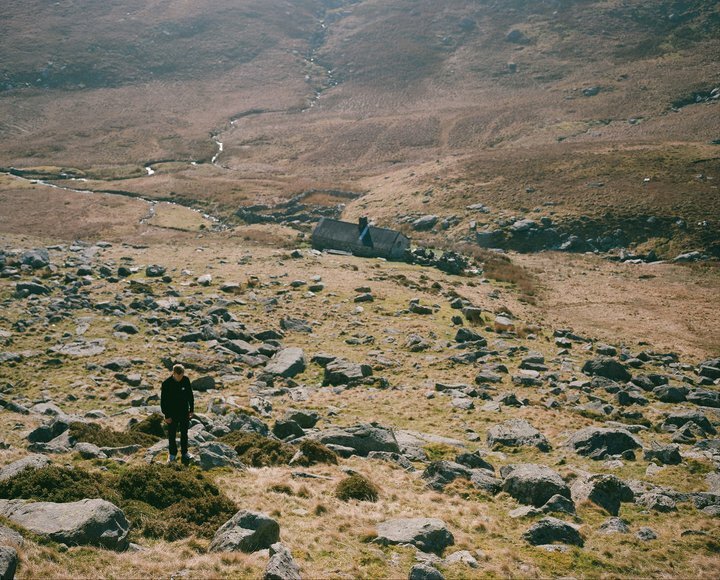 Following this the hostel hosted two artist residencies in 2016 & 2017 to generate sonic responses exploring the psychogeography of the space, and the surrounding area. Artists and guests were encouraged to consider the cyclical nature of season, sleep and tide. The building was originally built as an experimental Admiralty Station from 1955 to 1957 when hydrophones were placed on the sea bed spaced over ten miles in efforts to detect submarine activity. The Listening Station was a Top Secret site for research and listening, its activity only becoming public knowledge in recent years. Today the routing cables that connected the hydrophones to the building can still been seen running down the cliff to the sea where further evidence is uncovered by low spring tides. Following a refurbishment of the hostel some of the original furniture has been salvaged and will be installed in the Brunswick basement to house the soundscapes captured both above and under the water, the cliffs and between the walls of a building where many travellers have slept overlooking the Atlantic Ocean. My professional life began in the world of physical theatre but I gradually migrated to the realm of visual arts. My work revolves around themes of childhood, place and belonging, and I work with people who find themselves on the margins for one reason or another. I develop flexible and responsive processes that allow us to think imaginatively with each other and see my practice contributing to a community of disciplines that embraces family support, academic research, and education. For the last two years I’ve worked on AHRC project Daylighting Hidden Rivers, which has made me think about rivers much more and as I walk over the culverts I imagine them flowing under my feet. 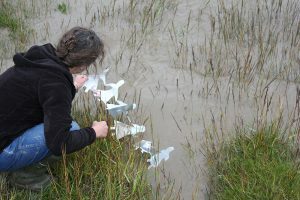 I have recently started a new piece of work, Tidal Village, out on the high tides of the Severn Estuary where I am exploring ideas and images about flooding and loss. Drift comes out of having watched the turning tides on the estuary. I focused on the many and contrasting flows and rhythms of the water moving across one another in the Severn and wrote phrases that would constantly move against and past each other. I took information from tide charts (timings, tide heights etc.) and used this as the foundation of the piece. I want Drift to somehow describe the passing of time, the surface disruption of the water and the relentless tidal forces moving up and down the estuary. Richard Hughes is a composer currently studying for an MA in Composition at Bath Spa University. He also works as an artist and musician in Early Years education settings to support child-led, open-ended creative learning. Palm Oil is part of a series of works exploring cycles and linearity, discreteness and continuousness, and the space between the human and the natural. Sound is generated and manipulated through processes that imitate ecosystems: musical ideas emerge, repeat and evolve within a sonic space that attempts to call on the spiritual experience of techno and the sublime experience of the natural world. Yas Clarke is a sound artist and composer interested in the human relationship to nature.